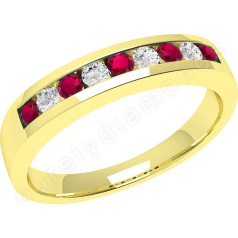 Ruby – Diamond jewellery is, and has been popular among celebrities too. 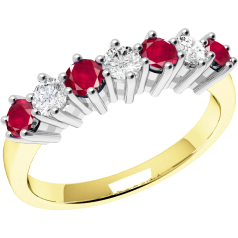 Elizabeth Taylor owned several ruby and diamond pieces, necklaces, earrings, etc. 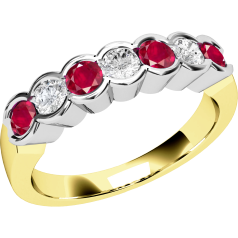 One Christmas Taylor’s husband, Richard Burton surprised her with a beautiful ring with a ruby surrounded by diamonds in her Christmas stocking. 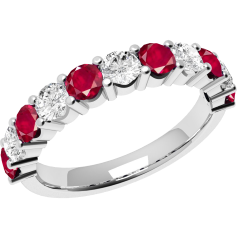 Today, singer Jessica Simpson wears an engagement ring with a ruby and two diamonds. Ruby is the birthstone of July, so a Ruby Diamond Ring which unites fiery rubies and sparkling diamonds is the perfect gift for those born in this month. 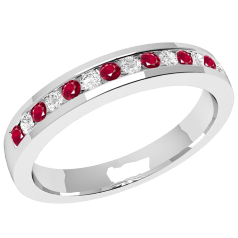 Ruby, the red gem form of corundum, is second to diamonds in hardness, so a Ruby Diamond Ring combines the top two most durable precious stones. 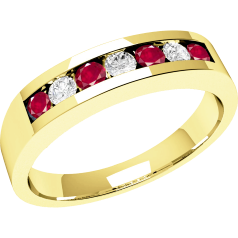 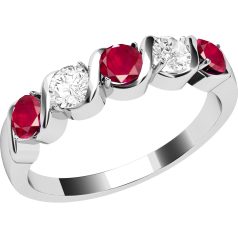 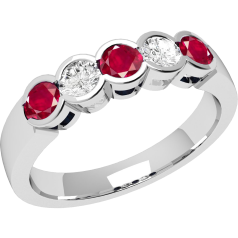 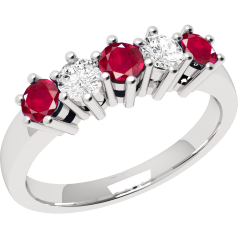 We offer several designs from our other categories, in a ruby and diamond version, thus you can find Ruby – Diamond three stone rings, Ruby – Diamond Cluster Rings, Ruby – Diamond Eternity Rings, Ruby – Diamond rings with shoulders, and Ruby – Diamond Cocktail Rings.